The Right Kind of Writing is Good for You. Bonus: It’s Simple! I have always had the hunch that writing helps me make sense of my life in a way that’s beneficial. There is solid empirical research indicating that the right kind of writing can have a measurable benefit in your life. More surprisingly, it benefits you both emotionally and physically. 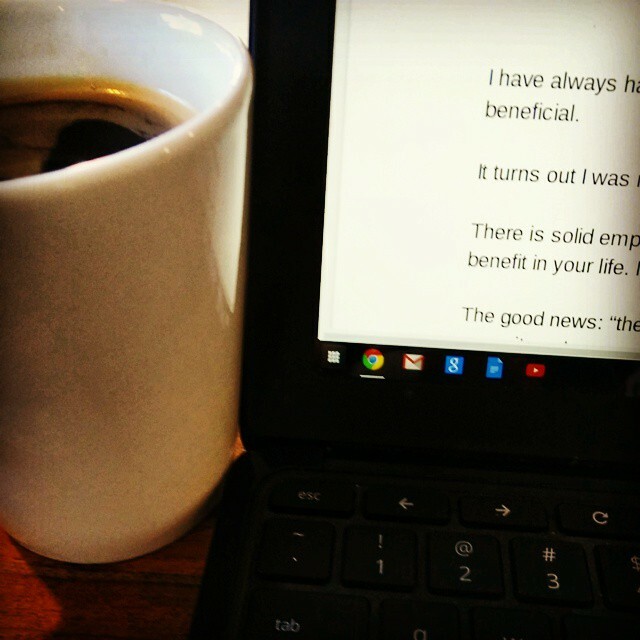 The good news: “the right kind of writing” is very simple to do. It also doesn’t require a huge time commitment. Identify an emotional upheaval in your life. Write about the upheaval over four consecutive days, for 15-20 minutes. Focus on your deepest feelings and aim to create a meaningful account that makes sense of the upheaval by day four. That, believe it or not, is all it takes. In controlled experiments, people who used this simple exercise reported better moods, received better grades at university, missed fewer days of work, showed improved immune system functioning, and were less likely to visit the doctor. One important caveat: don’t write about the upheaval too soon after it happens. Use it only when you’re ready. Want to learn more? Here’s a good article. I read about this research in two different books: The Happiness Hypothesis and Strangers to Ourselves. Both are very accessible, very enjoyable, and cover a lot of research that will be relevant to anyone who wants to make sense of an upheaval in his or her life. I recommend both of them. If you want to explore the ideas and research in these books (and others), I can help.